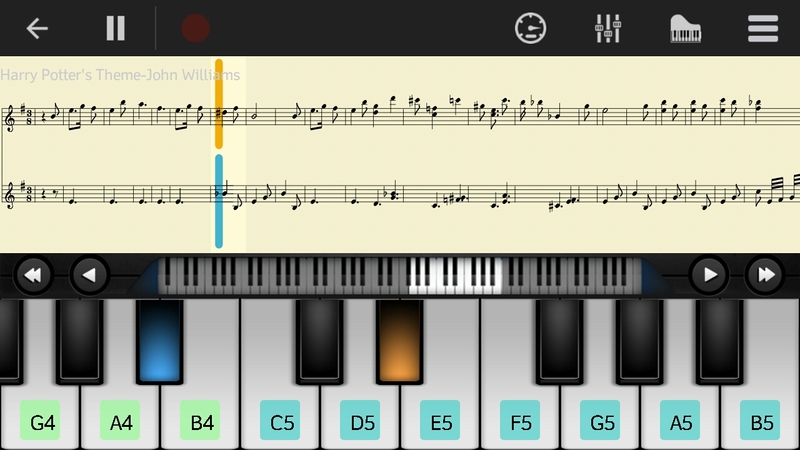 Piano Apps for Android: Fun Tools to Learn Piano by Yourself! Hi, Roonby readers! How do you do? We hope you all well. 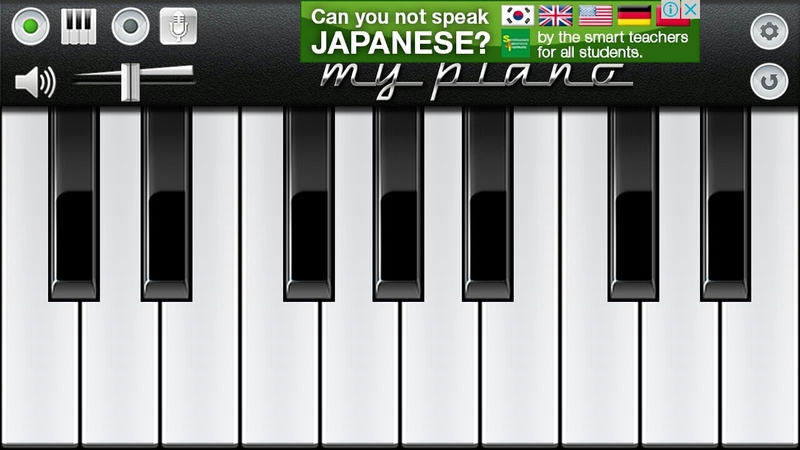 This time, we have recommendation for apps to learning piano by yourself. Get piano lessons is a bit expensive. We don’t persuade you to quit it or asking you to cancel your plan to get a piano lessons. 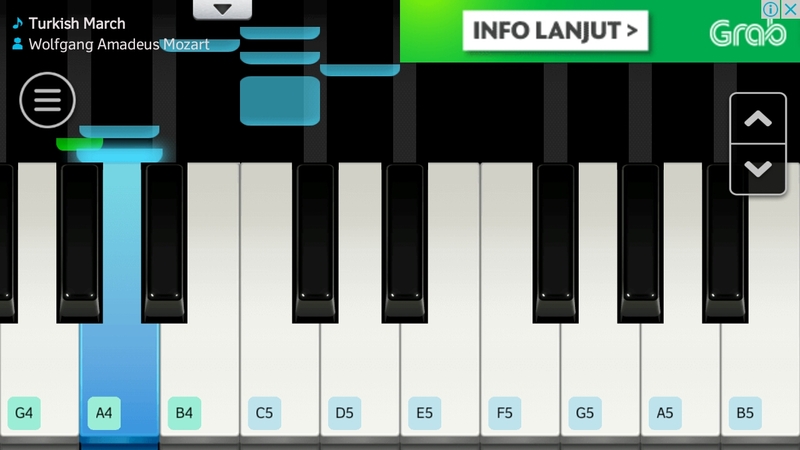 Nevertheless, we recommend some piano apps that offer free piano lessons for Android user. This app has superb sound. You could adjust the sound to that of a piano, a grand piano, a cello pizzicato, strings, an accordion, harp, an organ, a guitar, or a harpsichord. Also, you could turn on the signature. Choose the do, re, mi signature or the other signatures. It has two keyboard mode, the single row mode and the dual row mode. Also, you could adjust the size of the keyboard. Look on the right side of the app. Tap on the above one. You will find that it will open. Try to tap it. It will help you to play the keys in piano. Learn how to play the piano. Tap again to minimize it. Tap the bottom one. You will find some song list. You could listen to it and learning from it. Furthermore, you could record your playing too. It has two mode of play, the practice mode and the perform mode. You could adjust the keyboard size. The free version has high quality piano and plenty MIDI sound. The MIDI consist of piano, bright acoustic piano, guitar, bass, xylophone, marimba, and loads more. Related post: Dirtbike Games on Android: Go at High Speed and Climb Up The Obstacles! You could play tons of songs in it. You could find them in song book. As if the song book is not enough, there are option to use cloud sharing. It has online search option too. You have option to turn on the music sheet. Also, you can adjust the tempo of your keyboard. It is easy to play after the song. It will give you direction by waterfall method. Practice the piano for your left, right, or both hands. This app has option to practice that way. It has realistic instrument sound that might pleased you. It has chords mode, single row mode, dual row mode, and two player mode. You could learn piano in these play modes: falling note, waterfall, or music sheet. There are a lot of songs that you could learn to play for free. It has classic songs and newer songs as well. You could see the classification of the songs by how hard it is to play the song. Moreover, it allows you to share your recording file or set it as a ringtone. Furthermore, you could compete to play the piano with other users. You need to log in though. You could sign up and log in with your account. The other options are log in with your Facebook or google+ account. It is a really simple piano app. You could change its look on ‘User Interface’. It has option to make sound effects. It has some available instrument sound for you. There are piano, pizzicato, Rhodes, and many more. You could load songs that already in your device. You could record your play then save it. The wonderful thing about this app is its keyboard. It feels like playing with a real keyboard. They are the piano apps that worthy our attention. You could listen to its music or learn to play a song. Hence, Roonby recommend those apps to you. They are What app is the best for you? You might share you experience on the comment below. Have a good day!